For the third year in a row Dream Learn Work has organized and delivered our motivational workshop ‘’My Life, My Dream’’. 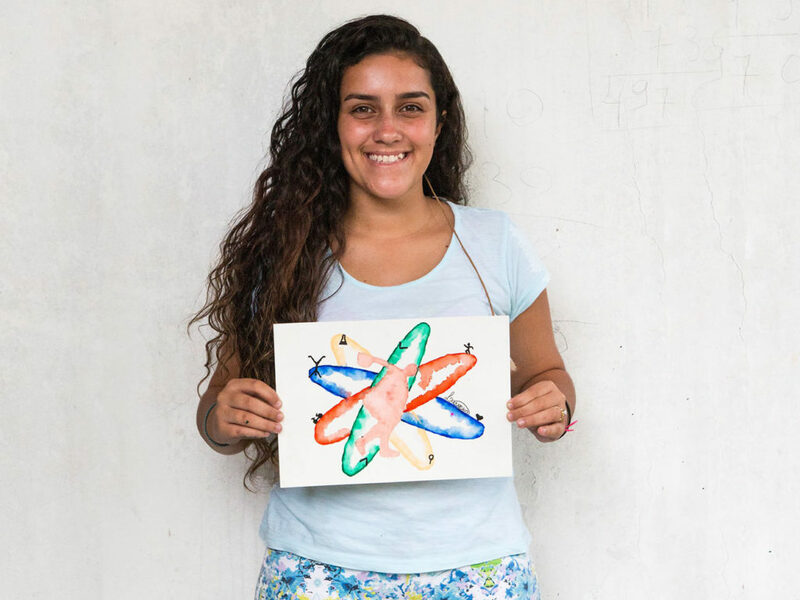 We use creative tools to identify and illustrate the dreams of our participants. 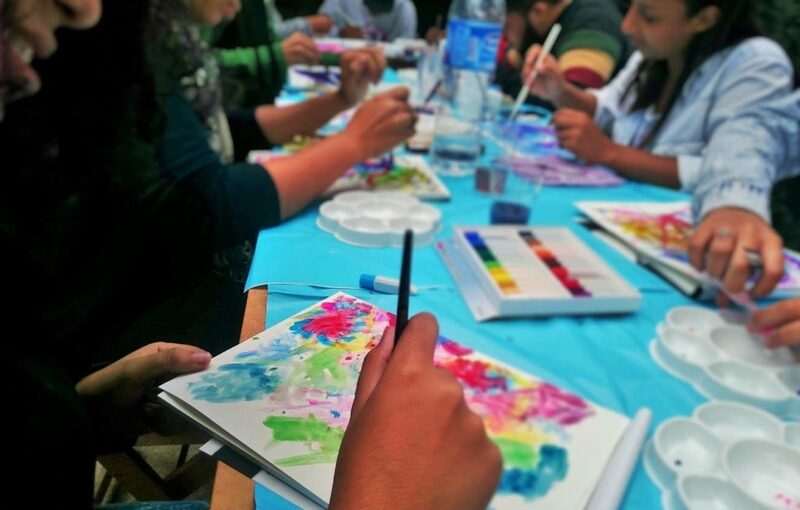 During four days of activities the participants learnt how to use watercolours, the techniques and the most important part – they learnt to dream! Participants experimenting with watercolour at their first workshop. Laryssa holding her final art from the workshop. Her dream is to work as a physiotherapist in sports. The workshop was held in a house in Santa Teresa with a great outdoor area and a view to inspire that the world is yours, and surprisingly enough, many of the arts consists globes, art by many youngsters whom basically hadn’t left the slums they were born in. One of DLW’s missions when sponsoring courses to these youngsters is to get them out of their local communities and widen their horizons. Sometimes the closest course is not necessarily the best option, because exploring is also a part of the growing process. 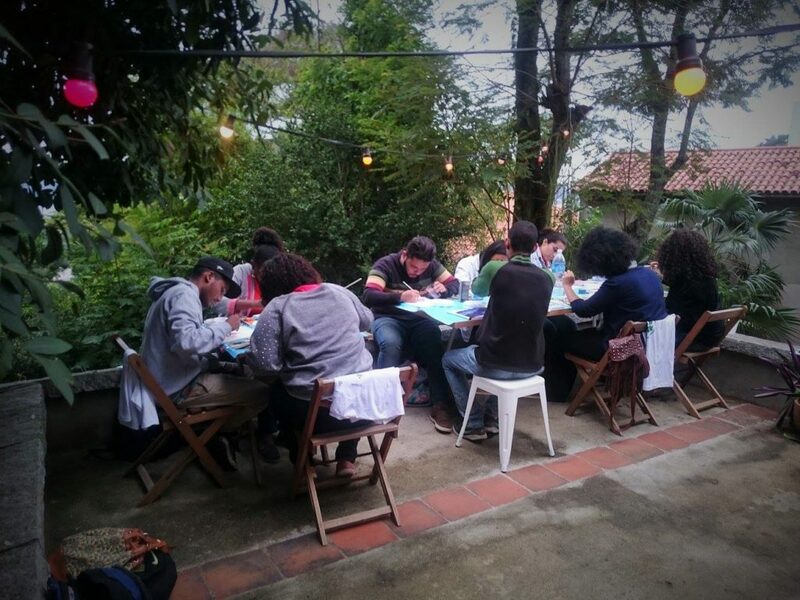 The workshop was held in a house where the outdoor area permitted to let the creativity flow. The designs are now being printed onto the t-shirts and will be sold through NEGUIN’s homepage (http://neguin.com.br/) and at Dream Learn Work events. Stay tuned for more information how to buy our t-shirts!